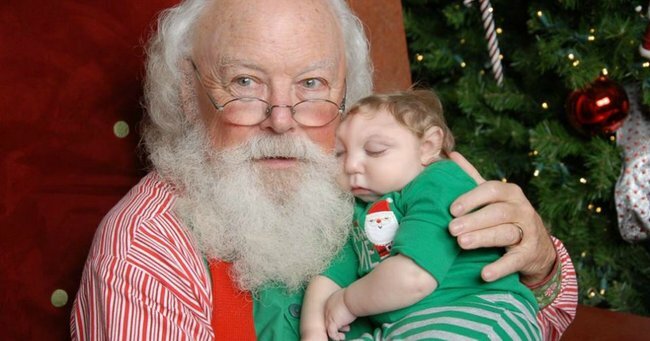 Jaxon Buell just met Santa for the first time. 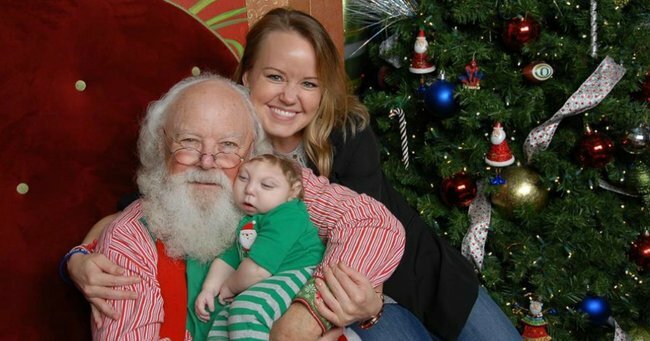 The little boy missing part of his skull finally met Santa. The story of baby Jaxon Buell is now known throughout the world. 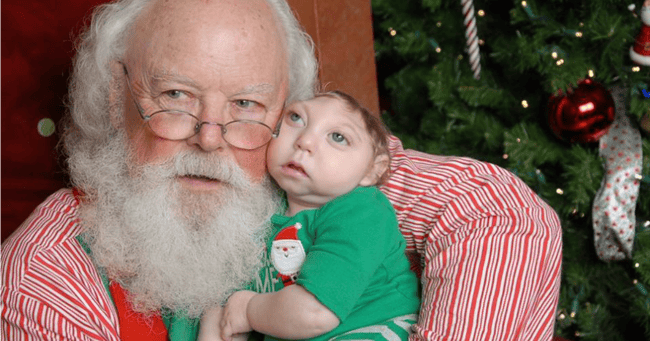 He was born with a rare condition called Michrohydranencephaly, that still leaves many in the medical profession confused. 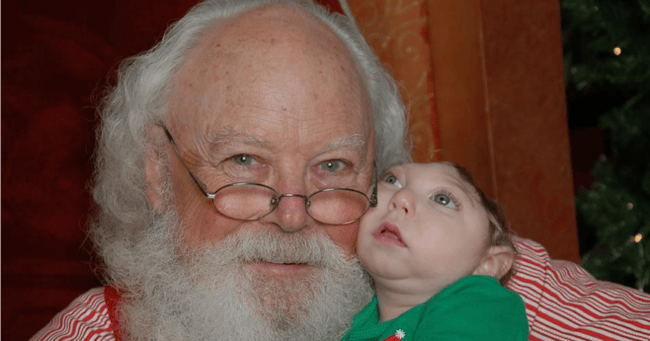 Jaxon’s condition means that he was born with less than half of his skull, and he doctors predicted that he wouldn’t even survive birth. Now, Jaxon is celebrating his second Christmas. 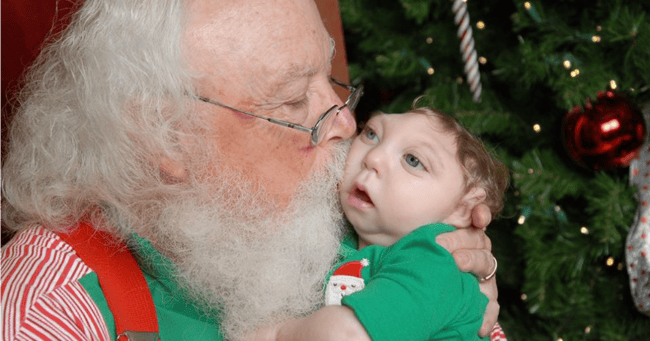 Jaxon’s parents, Brittany and Brandon, have released photos of the 15-month-boy meeting Santa for the very first time and falling asleep in his arms. Scroll through to seem more pictures of Jaxon meeting Santa. 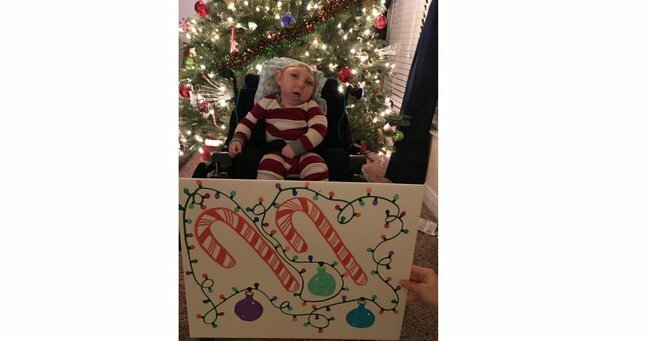 Brandon has also released a beautiful image of Jaxon’s Christmas card to the “entire world”, thanking them for their love and support. 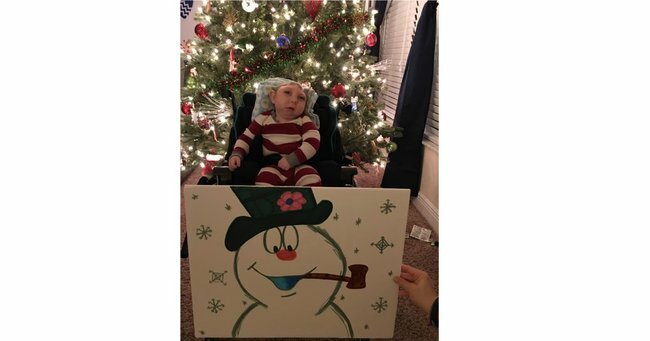 Brandon and Brittany Buell are now figureheads for not only the condition that their son was diagnosed with but all incredible parents whose children are born with different needs. In a recent Facebook post, Brandon commented on the number of people who still ask him and his wife about whether they would still choose to “continue the pregnancy” with Jaxon. “We chose to be his voice a long time ago, and all he has done in turn is surpass all expectations and inspire hundreds of thousands of people around the world. 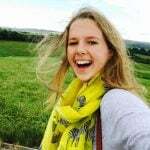 “Jaxon may ultimately live a short life, but he will, as so many other special needs children also will, impact and inspire more lives in their time with us than I or so many other will that do not deal with their struggles. 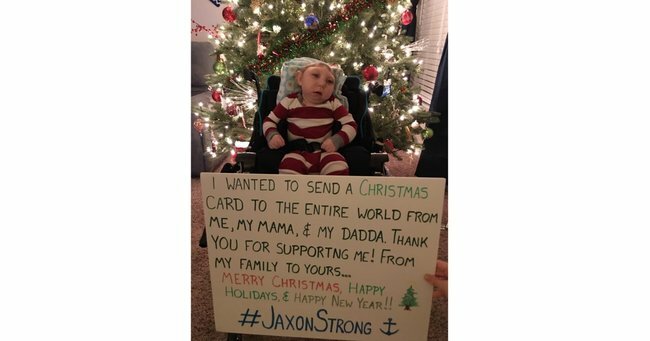 From our Mamamia family to yours, Jaxon Strong, we wish you a very merry Christmas.